With over 3 billion active users on social media, it is evidently one of the most powerful forms of communication to the point where we can ask ourselves: what will our lives be without it? Social media is part of the everyday routine for many people and it also catalyzes the growth of several companies today. However, by putting social media into practice, are you getting the results you want? Since engagement is critical, how exactly are you interacting with your followers? Social media is seen as an effective customer service tool which enables you to build relationships with your followers. Engagement definitely amplifies your conversion rate, but coming up with content that is click-worthy isn’t as easy as it seems that even a social media guru can have a hard time constructing them. Without further ado, let’s delve into the main tips that will strengthen you into an unshakable force! Which platform do you think is most suitable for your business needs? What is your audience demographics? There are a few factors that you need to consider when it comes to choosing your right platforms. Once your business becomes accessible, try to focus on one or two channels that you believe your content will perform well in. For example, if you are running a restaurant industry, your audience could be more engaged on Instagram and Facebook. Once you found your go-to accounts, you should definitely consider using a tool that enables you to measure your success. From providing rich insights of your metrics to monitoring multiple platforms, it will definitely assist you and your company towards improving your online presence. 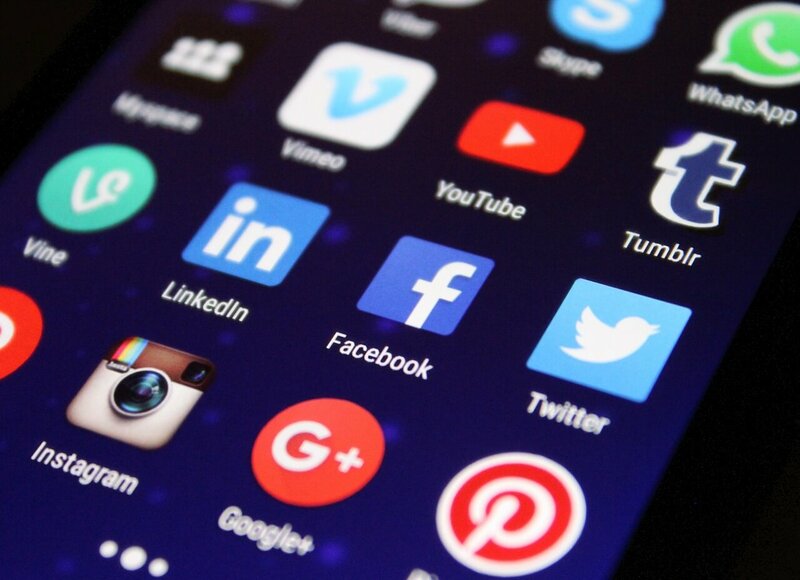 Some of the most popular tools such as Hootsuite, Buffer, and Sprout Social are often praised for their wide array of functions, so you should always take utmost advantage of your social media when you can! Survival tip #1: Get to know your followers a little more - strike a conversation! · Ask questions. Whether it ignites a friendly debate or if you want actual answers to help your business, this helps you understand your followers a little better and it also creates a lasting impression. Because of our attention span today, try to incorporate a compelling graphic that will draw your audience in. An example such as, “Do you pour your cereal or milk first?” or “Which type of sleeping position are you?” can stimulate conversations. However, try to avoid asking yes/no questions. Not only are those bland and boring, but your audience may not even bother answering them! Remember, it’s all about the engagement and how you deliver it, so try to form a question that is memorable, fun, and intriguing. · Ask for advice and feedback. Having to reach out to your followers on their opinion not only stirs up conversations and interest, but it also shows that you care about your own audience. For example, you can create polls or surveys as a way to ask your followers on what content they’d like to see. · Be open-minded. Despite how much you try to satisfy your audience, there’s always that one person who holds an opposing opinion or a complaint. Sometimes, they can be difficult to handle but it’s all about helping your audience in a friendly and helpful manner. Try to understand their perspective and strive for a solution. However, if it starts to escalate, you can ask the consumer to speak with you through private messaging. for endless ideas, take advantage of the holidays by posting any relevant content, or make use of the emojis! The more creative you get, the more people will engage within the conversation. · Audience Interaction: What is your audience demographics? Are they using their mobile or desktop to scroll through? Are they working a 9-5? What is the commute generally like for most people? · Time zones and location: Generally speaking, it all depends on where you’re getting the most engagement from. For instance, in the U.S, about 75% of the population is within the Eastern and Central Time Zone. It’s also worth trying to experiment different times to find that sweet spot. · Most people tune in during 12:00 p.m – 1:00 p.m as well as 5:00 p.m – 6:00 p.m on weekdays. In other words, there’s considerable amount of volume during the hours of those who are commuting to work, during their lunch break, and when they get off work. · It’s worth experimenting to post between 8:00 a.m – 9:00 a.m, 2:00 A.M, and the evening hours between 5:00 p.m – 9:00 p.m on weekdays. · Try to experiment posting during the morning and evening commute hours. As shown above, those are the recommended time frames to post but you should always monitor your social media platforms to help you figure out what works best for you. Never stop experimenting and don’t be afraid to post on days that are less popular. Who knows, maybe you’ll get some insightful data out of it! · Structuring your contest. Once you found your goal, determine which platform suits best for your contest and try to adhere to it. For your sake, it will be easier for you to cross-promote your contest and it eliminates any confusion since every platform has different rules. When it comes to hosting contests, there are a few types to choose from. Sweepstakes, where you ask users to provide their email and their name, is one of the popular options since it’s easier for users to enter but it produces a low engagement. On the other hand, hosting photo or video contests has the potential to gain the most engagement but it requires a lot of effort from the contestants. It’s all on you to decide on what you think is best for your company. To further assist you in the process, you can use some of the readily available third party apps such as Rafflecopter, Promosimple, Shortstack, Wishpond, and other alternatives. · Develop a time frame. How long will the contest run for? What’s the prize? Whether it’s a gift voucher, a coupon, a giveaway of your own products or something in between, ensure that your prize is worth the contestants’ time and effort! Also, your prizes work best when it corresponds to your business and its philosophy. In terms of time frame, it all depends on your budget and the type of contest you’re running. In general, try to aim for the middle ground where you don’t want the contest to be too short, but you also don’t want users to lose interest by stretching out your contests for too long. · Clarify your rules. Make sure your rules are easy to understand and include important information such as entry dates and the fine-print conditions. text overlay tool to check that you follow the 20% rule. One of the principles of social media management is to keep your platform alive by posting. However, for a straight-forward rule, it’s easy to make or break your success. By posting infrequently, you will be forgotten easily but posting too much will overwhelm your followers to the point where you’ll look like a nuisance. Now the question is, how much is too much? On Facebook, it works if you post two times a day but only if you have a large following. Moreover, according to a Hubspot study, posting a few times a day on Facebook will actually result to 60% lesser clicks if you have a small follower base. You can always try to post a few times a month but overall, your safest bet is to post at least 1-3 times a day across all social media channels. The power of social media not only unites a global community, but many businesses see the potential it brings towards their success. There are many ways to catalyze your engagement within your audience, but the secret lies on the execution. Which social media engagement tactic works for you? There is only one way to find out. Don’t stop testing and always experiment! NextSEO vs PPC: What is the difference between these two approaches? Division of MRCK Corp. © Copyright 2016. All Rights Reserved. SEO vs PPC: What is the difference between these two approaches? Division of MRCK Corp. © Copyright 2018. All Rights Reserved.